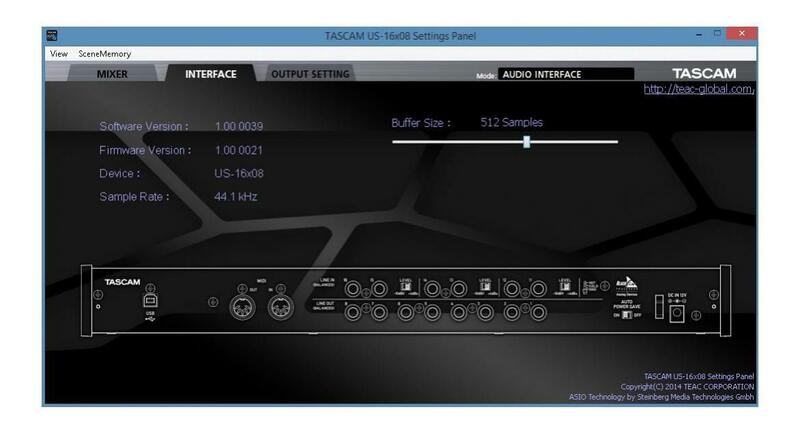 The TASCAM US-16x08 Audio Device is the perfect solution for full band and ensemble multi-track recordings. 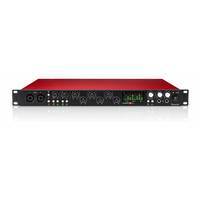 It features 8 Ultra-HDDA mic preamps, 8 line inputs, a DSP mixer, separate volume and line outputs, MIDI, and drivers for Mac, Windows and iOS. The US-16x08 offers 16 mic and line inputs of professional sound quality and advanced features to manage big recording sessions. There are eight Ultra-HDDA microphone preamps and eight line inputs provided, two of them switchable to instrument level for direct guitar or bass recording. 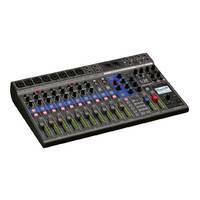 Built in is a DSP Mixer for low-latency digital mixing. Each channel has four-band EQ and compression. In addition to interface mode, the US-16x08 can be used stand alone as a standalone mic preamp. Mac and Windows drivers are provided, as well as USB Class Compliant 2.0 drivers for tablets like Apple's iPad. There are separate volume controls for headphones and line output. When you want to work on headphones, you don't need to reach around to switch off your monitors. MIDI input and output are also available on the rear panel. Rackmount ears are included. This audio device is the perfect solution for recording full drum kits and band sessions, and multi-tracking live performances. 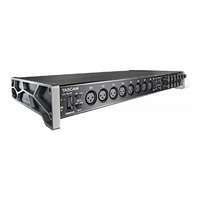 Eight XLR mic inputs and eight TRS inputs can be used simultaneously for 16-track live recordings. Capture every detail of live performances or rehearsals for later mixdown. The XLR mic inputs have switchable +48V phantom power to use up to 8 condenser mics at the same time. 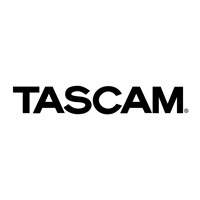 TASCAM's Ultra-HDDA (High Definition Discrete Architecture) mic preamp design is based on discrete components, just like classic professional gear. 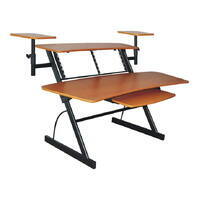 Their noise level and signal-to-noise ratio out-specs any other unit in this price range. 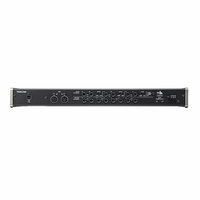 When powered on with out a USB connection, the US-16x08 functions as an 8-channel microphone preamp. Mics pass through the Ultra-HDDA preamps to the eight balanced line outputs on the rear panel. 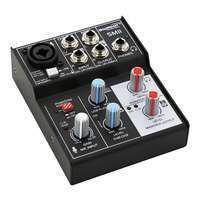 Use the interface to add additional high-quality mic inputs to a mixer an another audio interface. The first two channels can be switched to direct guitar inputs. They're ideal for direct recording of electric and acoustic guitar and bass without the need for a preamp. It is an ideal scenario to then utilise amp and effect modelling software to achieve the unique guitar sounds you want for your recordings. 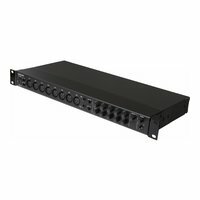 The converters and electronics on the US-16x08 allow you to record at audio resolutions up to 96kHz/24-bit for detailed acoustic productions. 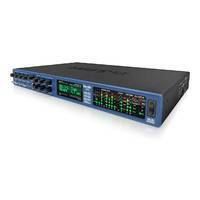 USB 2.0 provides plenty of data bandwidth, even when recording 16 channels at 96kHz/24-bit. The US-16x08 will also work with USB 3.0 jacks on your computer. The US-16x08 includes an advanced digital mixer for monitor mixing. 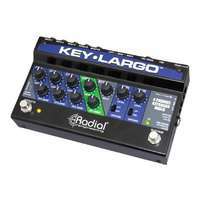 Each input includes 4-band EQ, a low-cut filer, and compressor. 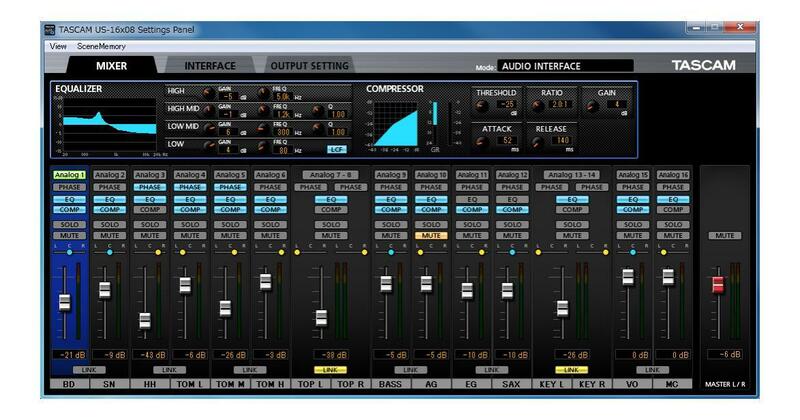 The DSP mixer can store up to 10 snapshots as scenes - making it easy to recall mixer settings. 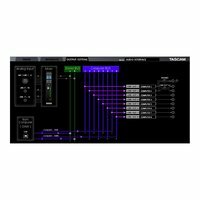 An additional tab opens a digital patchbay to route signals to any output. The US-16x08 is built with class-compliant drivers built into the units. Not only does this mean that they can be used with many computers without first installing a driver, they also open the possibilities of with tablets such as Apple's iPad. Use Apple's Camera Connection Kit to connect the US-16x08 to an iPad or other iOS device. 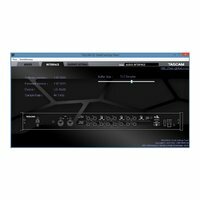 TASCAM has tested the interface operation with all leading DAW software, such as Pro Tools, Cubase, Live, Studio One and Garage Band. Use the interface with your favorite Mac or Windows recording applications.